At Brookfields, a wide range of technologies are used throughout the school and play an invaluable part in the education of all students. The majority of classrooms have a Smartboard that allow all pupils to access lessons via resources shown on an interactive computer screen. ICT is used in the majority of subjects to engage and motivate pupils and allow them access to a wide range of environments. To ensure that all pupils have equal access to ICT, adapted versions of keyboards, screens and pointing devices are available. 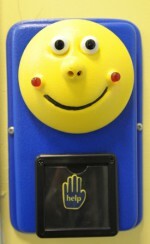 For those pupils for whom these input methods are inappropriate, the school uses simple switches to enable access to the computer and control onscreen actions when using sensory software programs. Teaching staff also use portable technology in classrooms; these include iPads, image and audio recording devices and programmable devices. Computing as a separate subject is taught in the secondary school from Year 7where pupils can use our fully equipped ICT suite which has 12 computers. 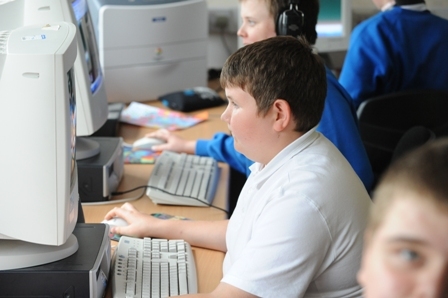 Recent modifications to the curriculum in Computing are in line with national developments. Students now study strands of ICT (how to access technology appropriate to their ability in a productive way), as well as elementary coding and programming (how to control devices and game characters to achieve specific purpose).